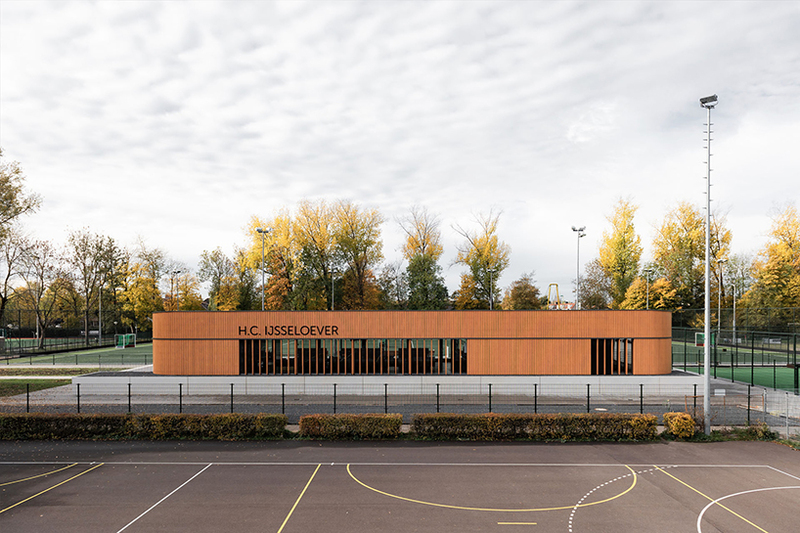 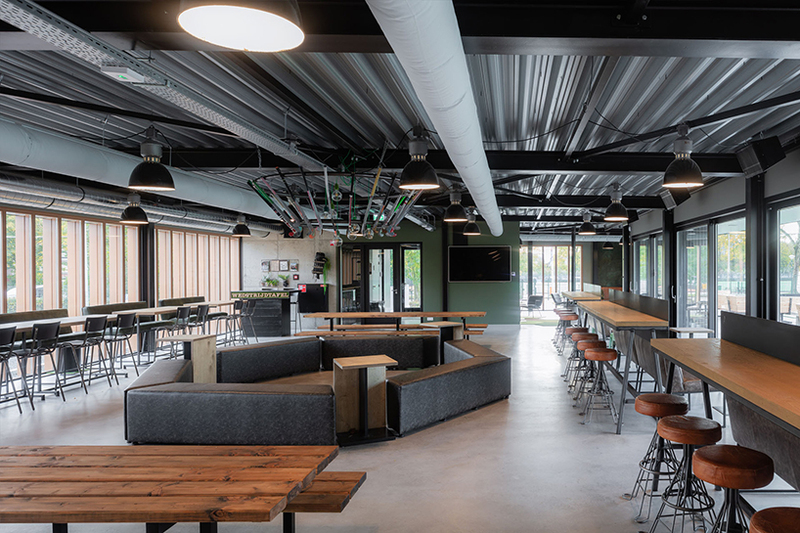 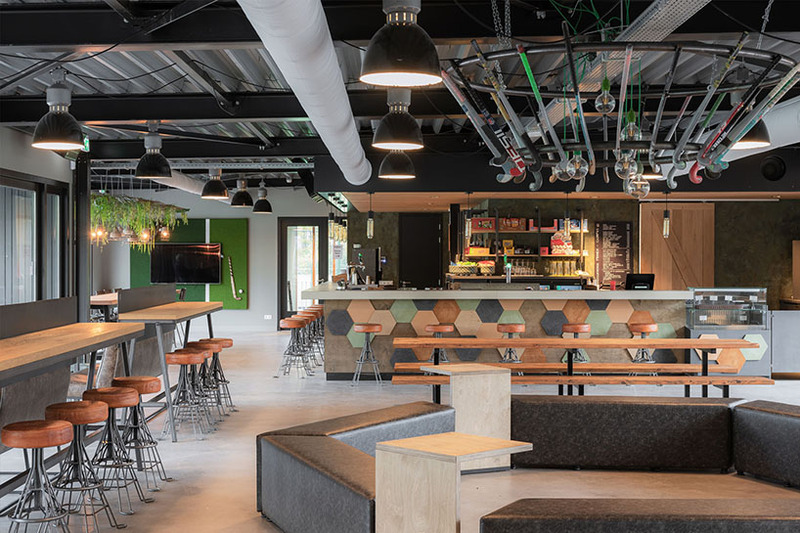 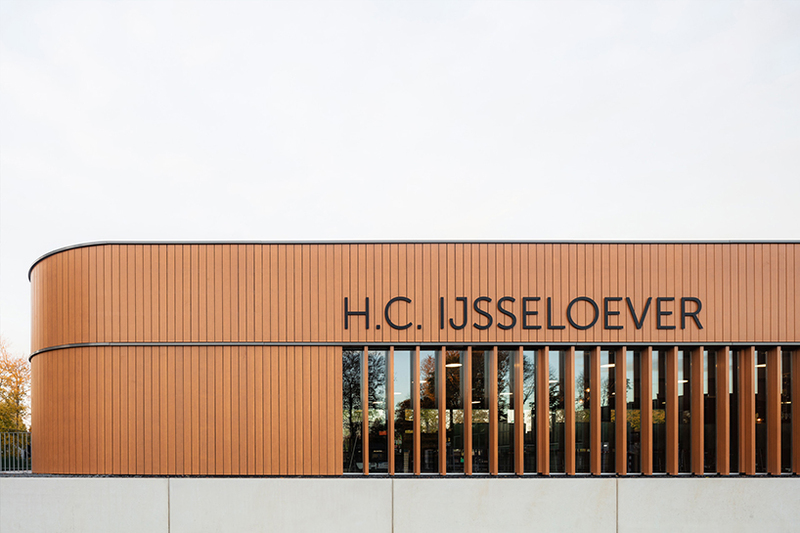 utrecht-based studio EVA architecten has designed an energy-neutral clubhouse for a local hockey club IJsseloever. 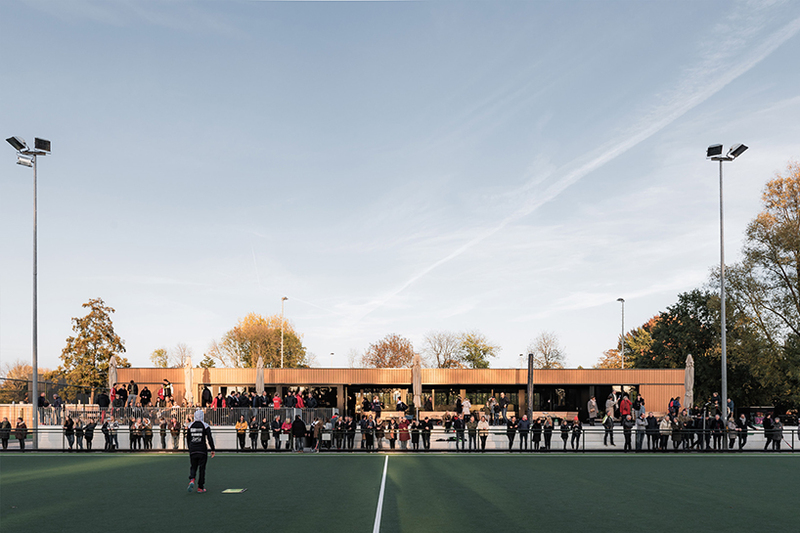 the project’s program can be roughly divided into two parts — the changing rooms and everything that supports them, and the clubhouse itself. 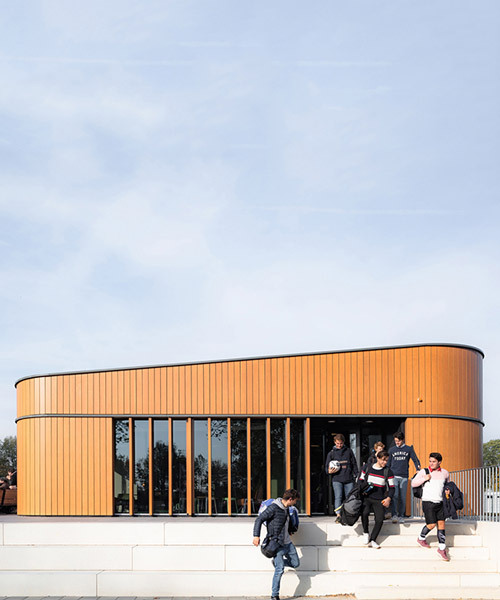 the smooth plank structure reflects the familiar precision of dutch design. 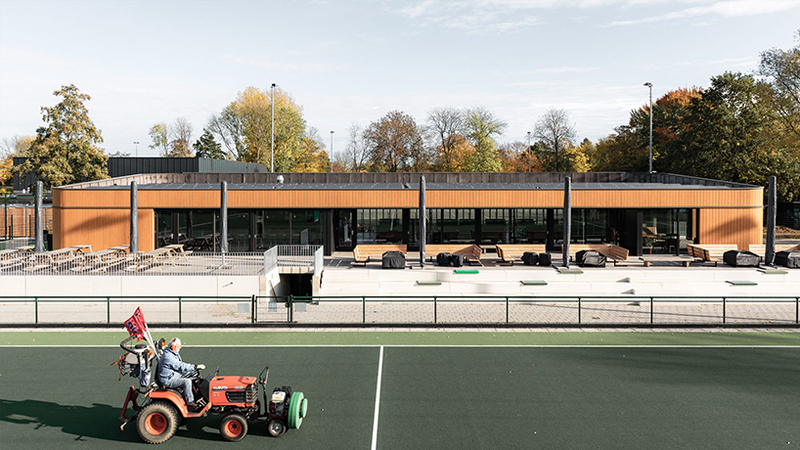 the changing rooms are partially underground, while the clubhouse volume is placed on top, allowing for beautiful views of the fields — the raised ground level serves as a terrace and stand. 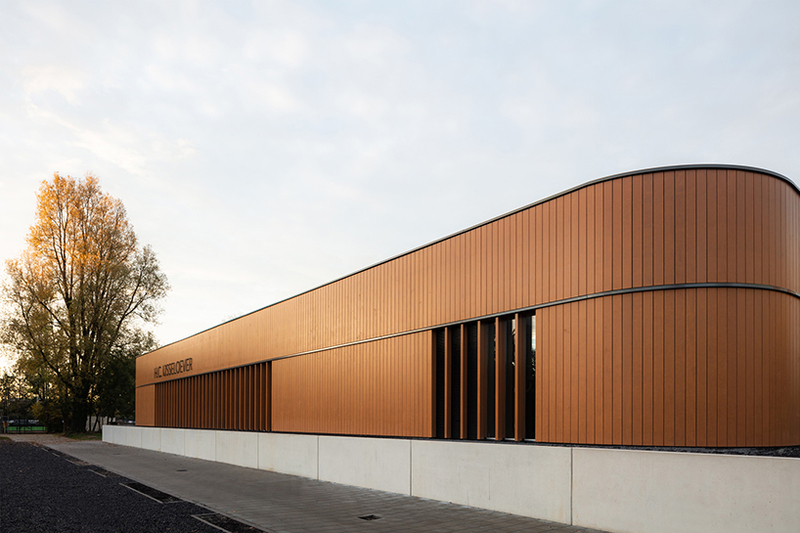 the basement is designed in concrete, the light exterior with a wooden cladding contrasts nicely with it and stands like a pavilion on the basement. 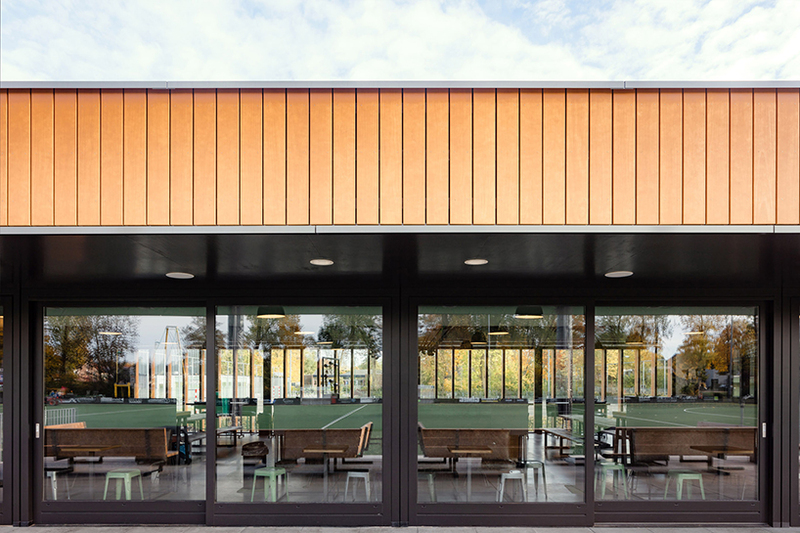 the field side is kept as transparent as possible with glass fronts that can open in the summer, so that inside and outside flow into each other. 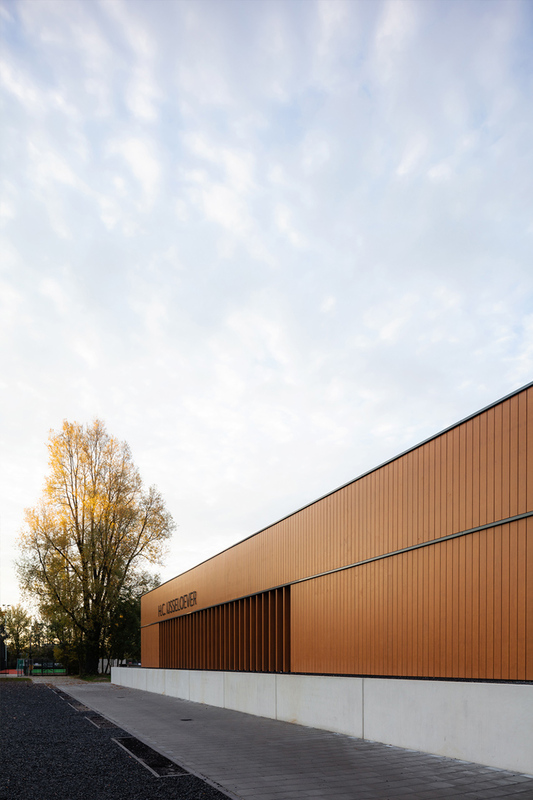 in order to accentuate the subordinate function of the other façade openings, the view is filtered through slats. 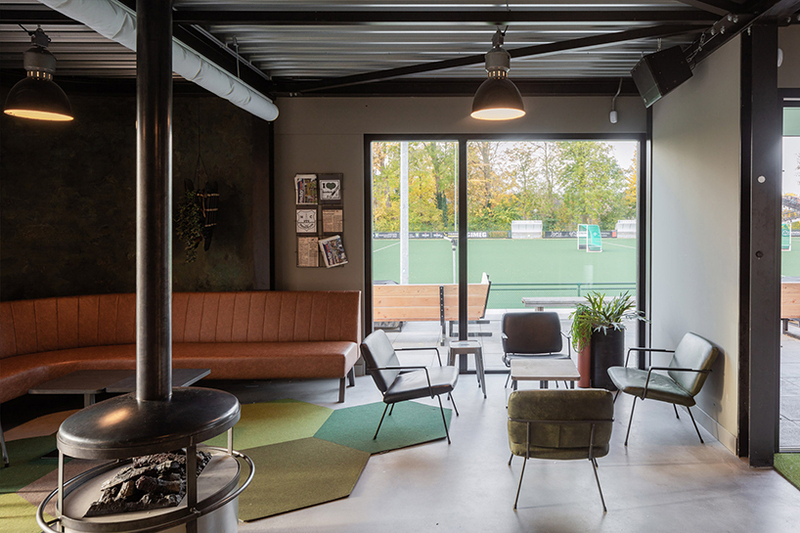 the layout of the clubhouse is divided into different spaces that can be opened and closed according to the required use — it is flexible and suitable for different ways of use and number of people present. 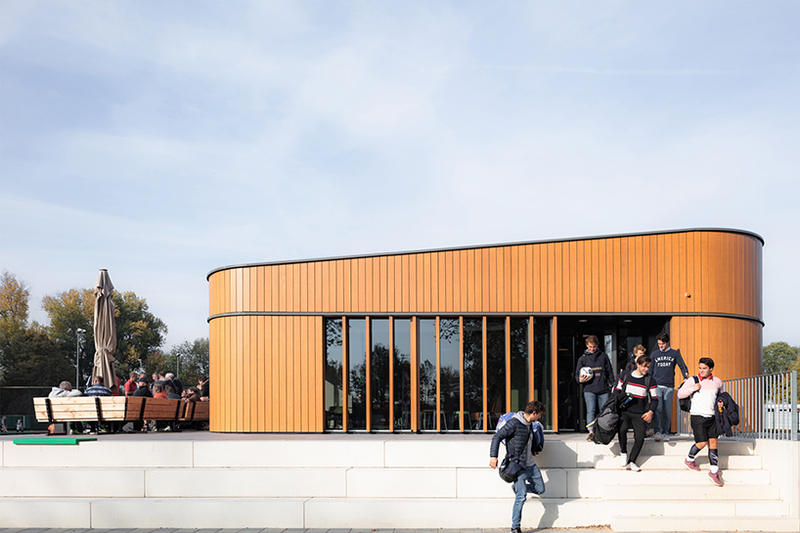 the solar panels on the roof and the heat pumps ensure that the building generates more energy than it uses. 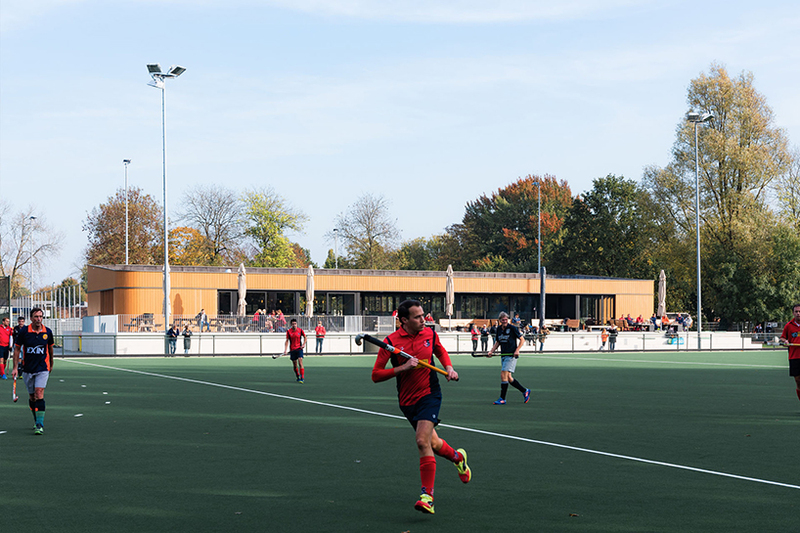 the main field features LED lighting — as soon as the traditional lighting of the other fields is replaced by LED, the entire complex is expected to become energy-neutral.